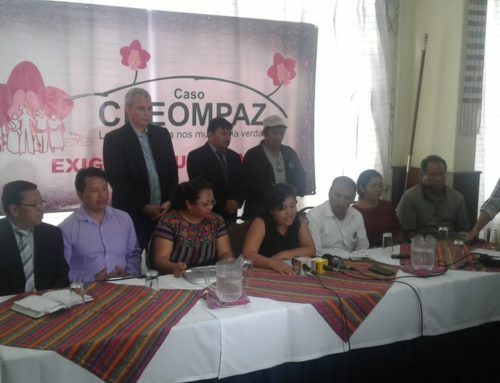 Today, 11 former military were indicted on charges of forced disappearance and crimes against humanity committed between 1981 and 1988, based on evidence uncovered at the CREOMPAZ military center in Cobán, Alta Verapaz. Judge Claudette Domínguez of the High-Risk Crimes Court “A” ordered all 11 to be sent to preventative prison at the Mariscal Zavala Military Brigade to await the opening of a May 2016 trial. 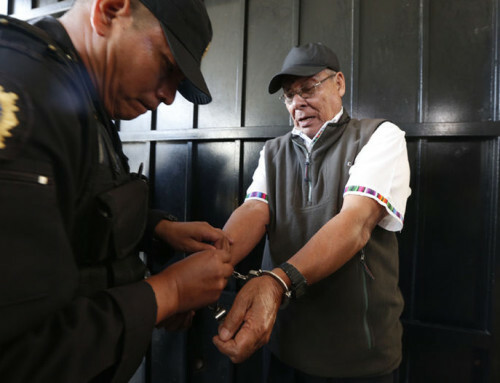 Among those indicted is Benedicto Lucas García, former Army Chief of Staff during his brother Romeo Lucas García’s bloody 1978-1982 dictatorship. The other ten indicted include: Ismael Segura Abularach, Byron Humberto Barrientos Díaz, Juan Ovalle Salazar, César Augusto Cabrera Mejía, César Augusto Ruiz Morales, Gustavo Alonzo Rosales García, Raúl Dehesa Oliva, Carlos Augusto Garavito Morán, José Antonio Vásquez García, and Luis Alberto Paredes Nájera. In total, 14 former military officers were arrested on January 6 after exhumations at the CREOMPAZ unearthed 558 human remains found in mass graves. 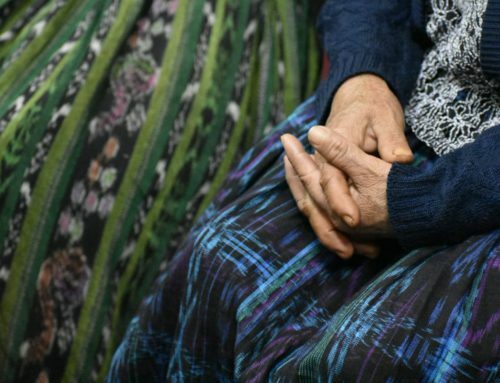 Ninety of those bodies have so far been linked through DNA to people who were disappeared during Guatemala’s internal armed conflict. Although Judge Domínguez ruled that there was not sufficient evidence to indict Carlos Rodríguez López, Pablo Roberto Saucedo Mérida or Edgar Rolando Hernández Méndez, she ordered that the three men remain under house arrest for three months to allow the public prosecutor more time to conduct investigations. 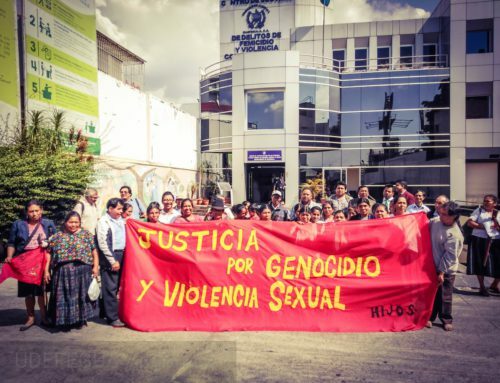 The three-year investigation by the Public Prosecutor´s office was complemented by the years other Guatemalan human rights organizations spent collecting testimonies. For more background to the CREOMPAZ case, click here. As part of the investigation, the Public Prosecutor´s office also named recently-elected Congressman Edgar Ovalle as a person of interest and has requested that his diplomatic immunity be withdrawn so that he can be fully investigated for his role in committing crimes against humanity. As a former paratrooper with counter-insurgency training at the School of the Americas, Ovalle helped found the FCN party that brought Jimmy Morales to power and is widely known as being his right-hand man. How new President Jimmy Morales deals with these accusations will likely be his first big test as a president who ran on an anti-corruption platform. During several days of first declaration hearings, lawyers for the accused consistently appealed to the courts and the media, arguing that this case has no legal merit. 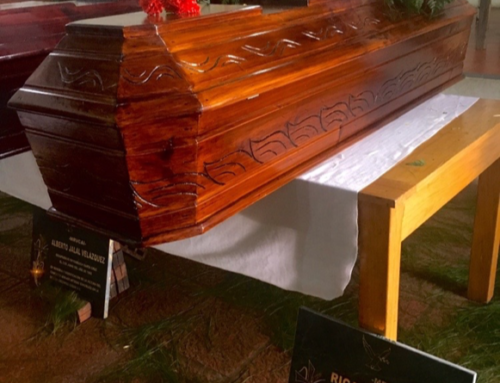 At different moments, they argued that a lack of direct supervision of the exhumed bodies meant that they could have been switched and that a cemetery exists within the base limits, making the results of the exhumations inconclusive. In light of these far-fetched statements made by the defense – following a similar pattern of stall tactics used by defense lawyers in other high-profile cases of crimes against humanity – the Human Rights Convergence issued a statement on Sunday. They explain that two forensic expert witnesses were always present during the excavation and exhumation phases, as was the lawyer appointed by the Ministry of the Defense. In accordance with normal exhumation procedures, the National Civil Police were also always present. The alleged cemetery referred to by the defense is in a neighboring community, not within the parameters of the military base. NISGUA provides accompaniment to FAMDEGUA and other plaintiff organizations. 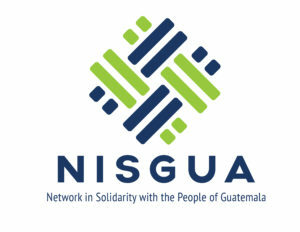 Follow @NISGUA_Guate on twitter for live coverage of the trial.